Pink October, a global campaign to raise awareness on breast cancer, has taken place in Maputo, Mozambique. In many countries, October has been designated as the Pink Month: a month during which many events take place around the world in a global effort to educate women on breast cancer, including early identification and signs and symptoms associated with it. Every year in Mozambique 17,000 women die due to breast and cervical cancer, often due to late screening and lack of knowledge on early symptoms. Doctors with Africa CUAMM has therefore decided to join the Pink October campaign by taking part to the launch event on 12th October at Matola Hospital, in Maputo province. 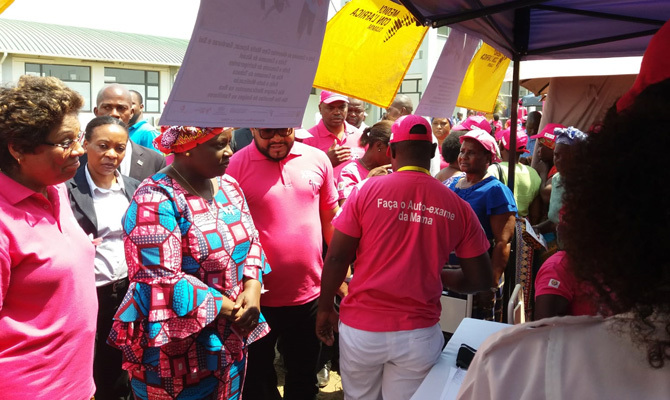 During the day, several awareness raising and screening activities have been implemented to increase knowledge about available services and to sensitize the population on breast and cervical cancer and on noncommunicable diseases more broadly. 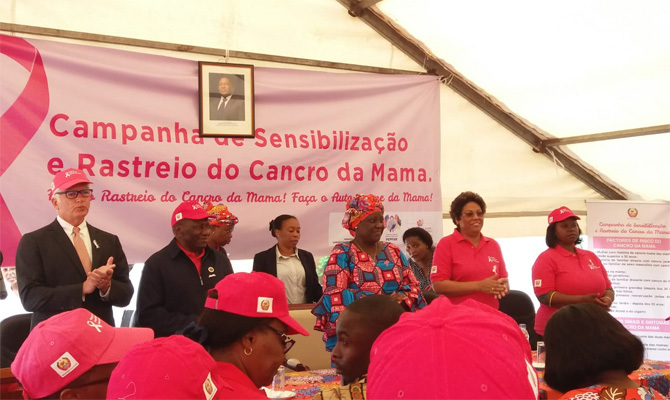 As stated by Isaura Nyusi, the Mozambican First Lady, guest of honour of the event, breast cancer diagnosis is not a death sentence if prevented trough simple actions such as a periodic breast check. Few minutes of self-exam can make the difference and they can represent the thin line separating a woman from the disease. In the current scenario, there is need for a change in attitudes and behaviours: simple but effective measures, such as breast self-exam and timely cervical cancer screening, need to be implemented and promoted. Currently, CUAMM is active in Mozambique with two interventions focused on noncommunicable diseases, in partnership with the Italian Development and Cooperation Agency and the World Diabetes Foundation. 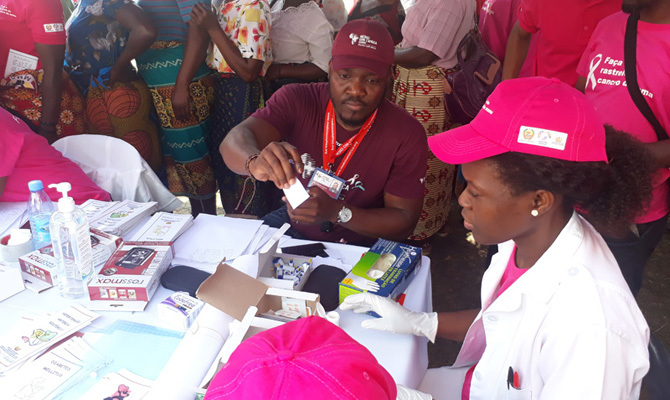 During the event in October, next to the breast and cervical cancer awareness activities, CUAMM has organized a diabetes and hypertension screening point, in partnership with Matola Hospital health staff. Several people stopped at CUAMM’s stand that registered 104 diabetes screening (88 women and 16 men) and 86 blood pressure measures (73 women and 13 men). Even the First Lady and the Ministry of Health stopped at CUAMM’s stand and received information form the local health staff.